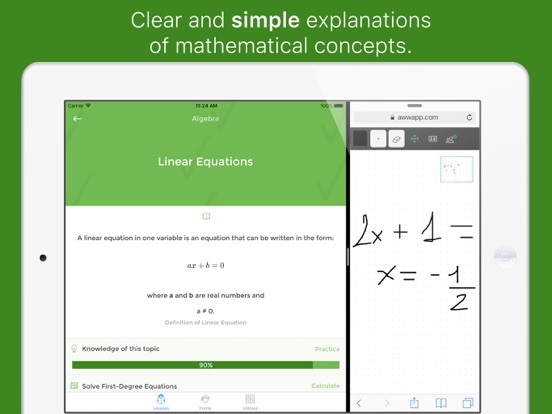 iMathematics is your personal math tutor. 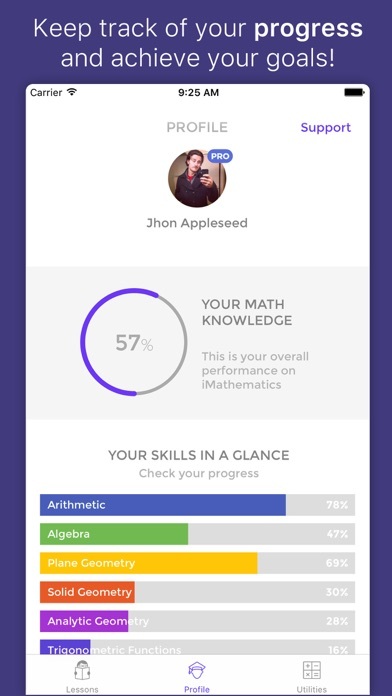 It is used by thousands of students every day, and it’s the only app about math which includes everything you need to successfully pass your exams. • Learn quickly from over 70 topics, thanks to the clear and simple explanation. 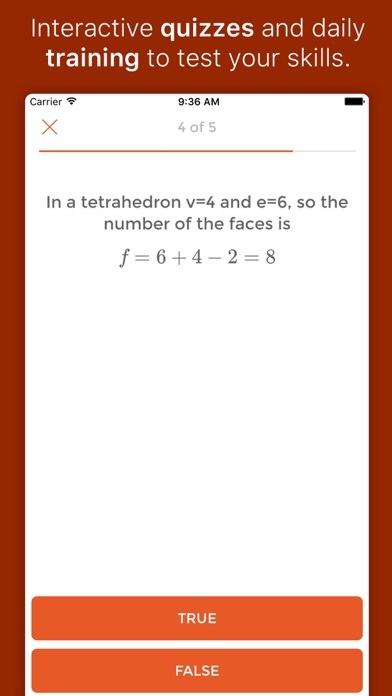 • Practice with various interactive calculators which you'll find in some subjects. 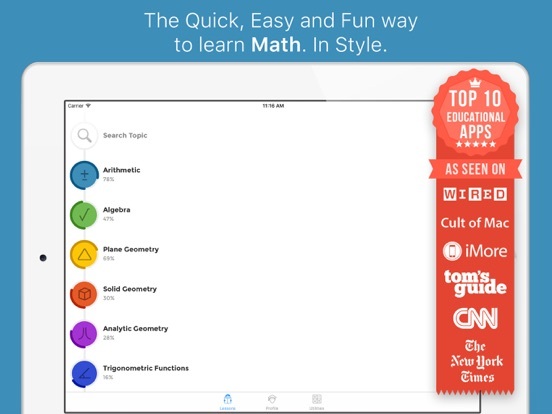 • Quickly find the topics that matters to you thanks to the advanced search algorithm. 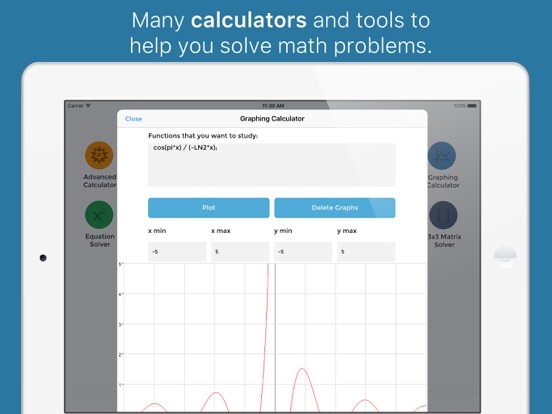 • Get help in your math problems with the Advanced Calculator, the Fraction Approximator and the Equation Solver. 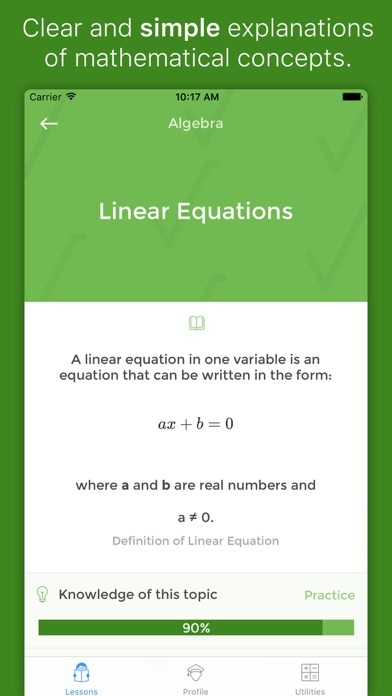 • Get more topics, more than 120, including the most advanced topics and all those that we will add in the future. 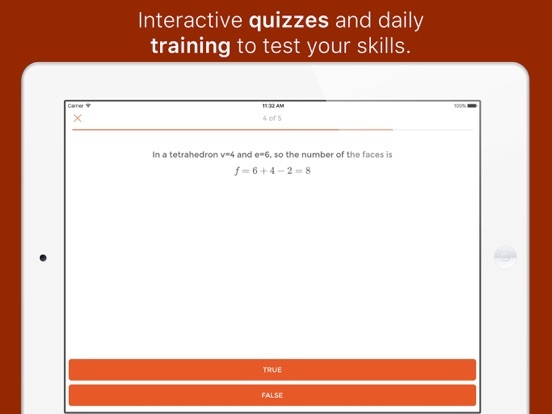 • Get Interactive Quizzes, with which you can practice and get a rating of your level of preparation. • Discover the step-by-step Solved Exercises, to help you understand the methods to correctly solve problems. 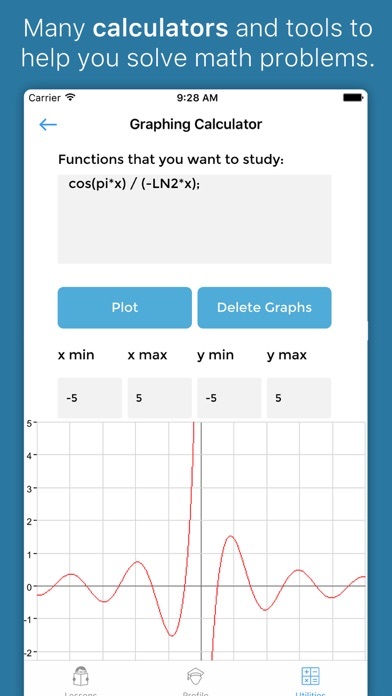 • Get the Advanced Utilities, like the Graphic Calculator, the Systems Solver, the Matrices Solver 3x3 and the Math Glossary. 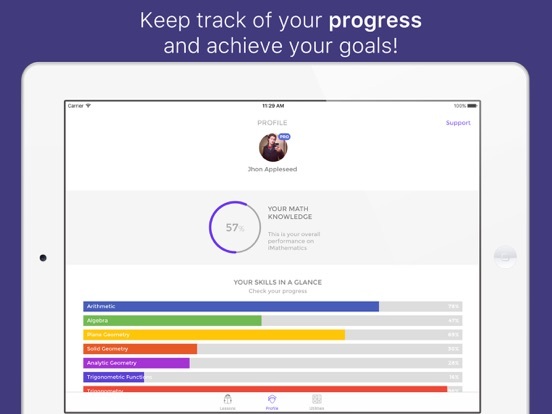 • Keep track of your performance, with the Daily graph. Kompatibilität: Erfordert iOS 9.0 oder neuer. Kompatibel mit iPhone, iPad und iPod touch.